Double #cheeswburger w/ onions and special sauce. #FoodPorn …. I absolutely demolished this Double Cheese Char Burger with Merkt’s cheese spread from @Paradisepup today! Then it demolished me and I needed a nap! Here’s the cherry smoked pork shoulder that our #BBQ team, #PigFloyd was working on yesterday at the @beerbbqchicago with @mikerphonebrew! 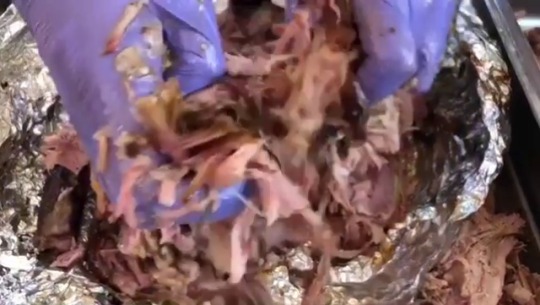 Look at how easily this pork shoulder falls apart. Skirt steak 🥩 #FoodPorn cooked at 129° F for 4 hours then seared at 800° F in cast iron.